Online streaming service Hulu Plus rolled out to Android smartphone users last June, but Hulu has been slow to support tablets using Google's mobile OS supporting just two slates until recently. But the wait for Hulu Plus is now over for users of seven popular Android tablets running Android Honeycomb 3.0 or higher. Hulu Plus is now available for the Acer Iconia Tab A500, Asus' Eee Pad Transformer and Transformer Prime, Motorola's Xoom and XYBoard 10.1, Toshiba Thrive, and LG G-Slate. The Hulu Plus app is free to download, but using the service on Android smartphone and tablets, requires an $8 monthly subscription. Hulu's new Android app also features an overhauled interface that includes what the service calls "horizontal trays" that let you swipe through videos by categories such as Featured, Popular Clips, Recommended For You, and What You're Watching. 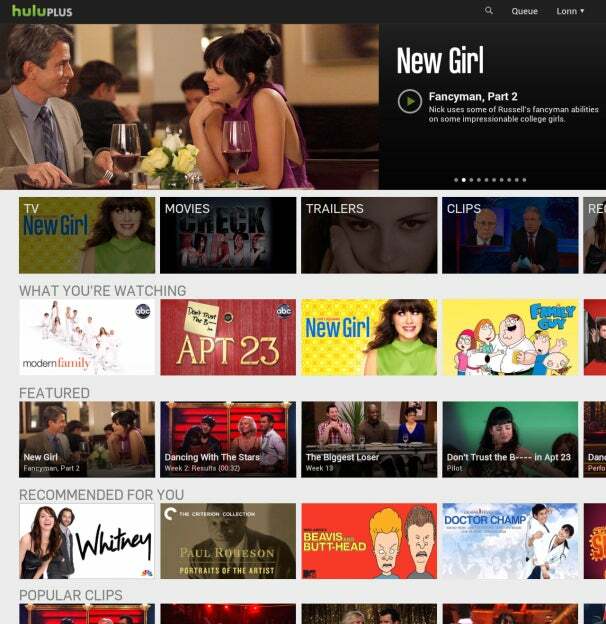 You can also use the Hulu Plus app to get to new content quickly. When you tap and hold the icon of a show, such as Fox's New Girl, the latest show in the series will start playing after a few seconds. If you use this trick on a show you've been watching for a while, Hulu Plus can bookmark what the last episode you saw was and then a long tap and hold will get the app to play the next episode in the series. If Hulu Plus isn't available for your slate right now, Hulu says this is just the beginning of its Android tablet rollout. So expect to see the apps become available for more tablets in the coming months. 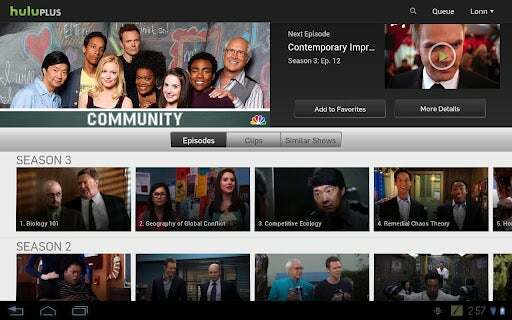 But it's not clear when Hulu Plus might land on Samsung tablets, such as the Samsung Galaxy 10.1. In the comments of the blog post announcing the wider Android tablet rollout, a Hulu support team member said the service is "actively working with Samsung to find a solution" to bringing Hulu Plus to Samsung tablets. It's not clear if the "solution" the two parties are working on resolves a technical or business challenge. Hulu was unavailable for comment at the time of this writing.